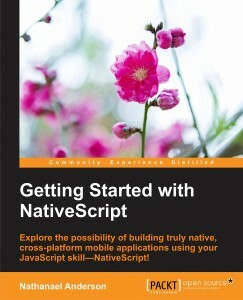 Getting Started with NativeScript - On Sale Now! WooHoo! It has been such a long road to get this book published. I wrote a bit about it here. It is finally officially available on the Packt site for sale today! It should be available on the Amazon store by Monday the 1st of February. I will have a list of additional sites and urls later this week. If you want the best book on NativeScript (I know I'm so funny! I get to claim it because its the only book on NativeScript!) then it is now available! The finalized chapters of my new upcoming book are at the publisher! The publisher has already put up the book listing on Amazon, it to be sold on Jan 6th 2016. I'll add the links to Google and Apple once I have them. So I can now actually start to talk about the book; and best of all I can finally get back to the day to day business of doing normal stuff. Getting this book done was a long road; but I am pleased with the outcome. I want to thank my wife, Camarell, and our kids for the vast amount of time I had to spend writing and testing and then writing some more. A lot of time was spent writing both code and words on paper, to make this book a cohesive whole, and they were the ones who missed me the most. I want to thank the publisher; they got to proof read early chapters; make corrections and generally make sure I stayed on track -- Thank you; Mehvash and Prachi at PACKT Publishing! I also want to thank my parents; I learned to love books from them and if anyone want to read a excellent science fiction novel series; my Mom and Dads series The Day Star Chronicles. 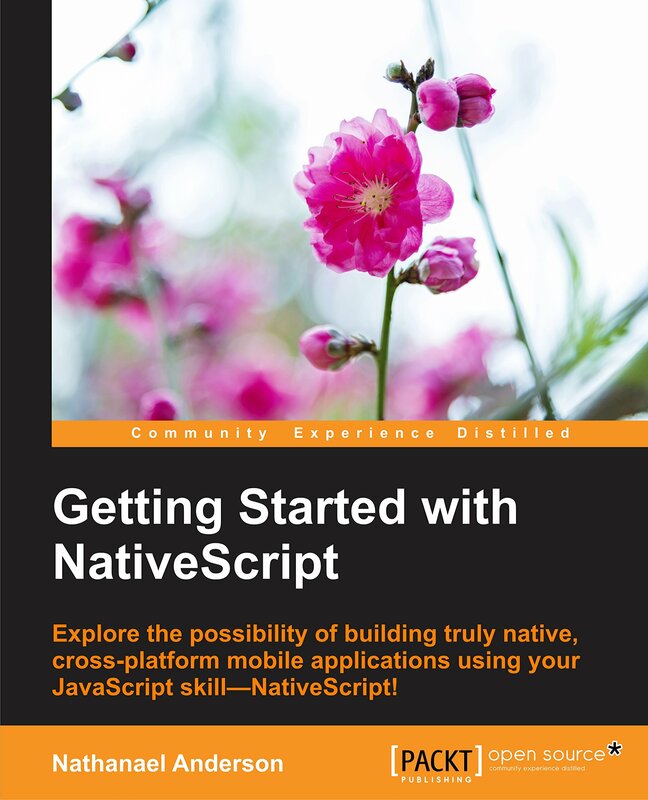 This entry was posted in Book, NativeScript and tagged Book, Getting Started with NativeScript, NativeScript on December 9, 2015 by Nathanael Anderson.